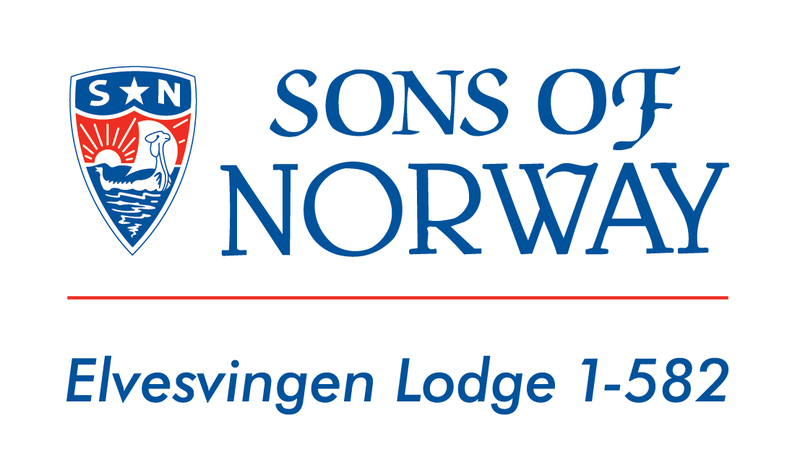 Sons of Norway, Elvesvingen (means "bend of the river" in Norwegian) Lodge, 1-582, Mankato's Norwegian Chapter, welcomes you to our website. We invite everyone of all ages and nationalities to take advantage of the fellowship and the many opportunities we offer to members of Elvesvingen Lodge 1-582. We meet at Bethlehem Lutheran Church on the second Saturday of most months. Most meetings start at 5:30 p.m. with lunch provided by members. We then have a short business meeting, followed by a program. Check out our calendar for some of our upcoming programs, activities and events! Some recent programs have included talks about the Sami's, the indigenous people of Scandinavia, personal experiences from the Norwegian Resistance Movement during World War II, information about the local Viking Ship "The Hjemkomst," and talks about the music of Edvard Grieg. Some meetings even feature lessons in hardanger embroidery, rosemal painting, card weaving, wood carving and making chain mail armor. College students from Bethany Lutheran College and St. Olaf College have shared about life in their homeland. Other speakers have told about their trips to Norway, the history of Norwegian Culture in the Hanska area and also of their experiences tracing their genealogy. We are always looking for new members who would be interested in sharing their Norwegian craft or language skills with us or who have taken a trip to Norway. On the other hand, you need not be Norwegian to join us, just have an interest in Norway or Norwegian Culture! Visitors welcome anytime! In addition to our monthly meetings, we make arrangements for trips to interesting Norwegian sites and events. Elvesvingen Lodge has gone to the Syttende Mai stage show in Hanska and has also taken a trip to the Vikings exhibit at the Science Museum in St. Paul. Members of Elvesvingen Lodge have also enjoyed participating in golf and bowling tournaments and of course attending local lutefisk dinners and making lefse to raise funds. Mankato's Elvesvingen Chapter 1-582 has done many things in the Mankato community to promote interest in Norwegian heritage and culture. Yearly activities include Norwegian displays at the Blue Earth County Library and the International Festival, participation in parades in Nicollet and St. Peter, a display at the South Central Minnesota Genealogy Expo and craft activities at the Blue Earth County Historical Society's "Young Historians" program. We have also distributed "Viking for Kids" magazines to several schools. We look forward to having you visit us and becoming a member! Please contact us if you would like further information! Be sure to check out all the wonderful information on this website!